The BMW classis 2002 produced in the late 1960’s and ’70s. 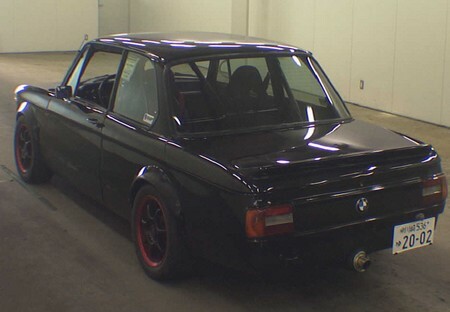 BMW needed to expand into new niche markets and a range of light but powerful compact two door cars was seen as the answer. Power and yet agile was their reputation. They had many success in touring races. It was powered by the BMW four-cylinder M10 engine. The initial line up bringing a four-door sedans and a two door coupe, a new line was broadened to the two-door sports sedans with the addition of the 02 Series 1600 and 2002 in 1966. The two-doors’s success cemented the firm’s future an an upper tier performance car maker. The one in today’s auction passed at 695,000yen. Unfortunately the number plate does not sell with the car! 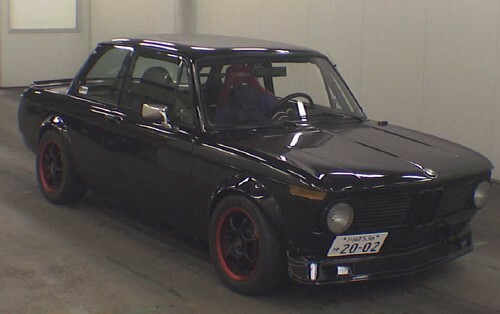 BMW 2002, look at the number plate!